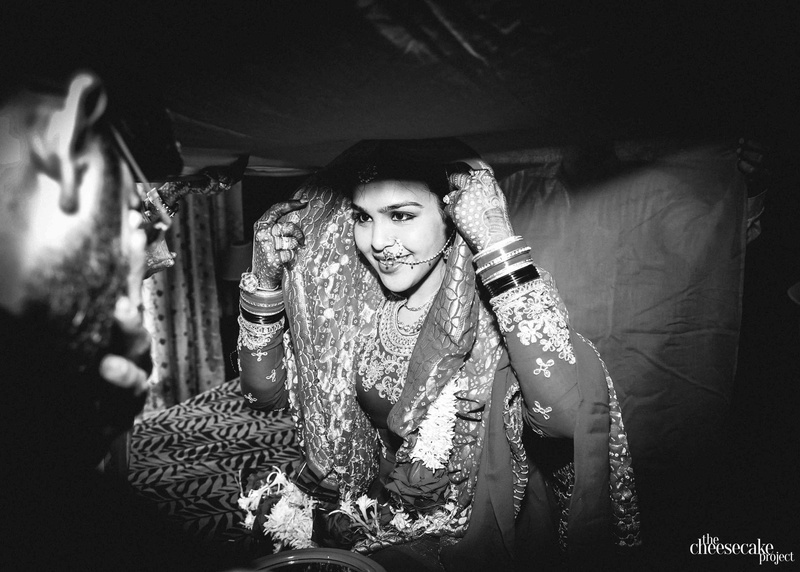 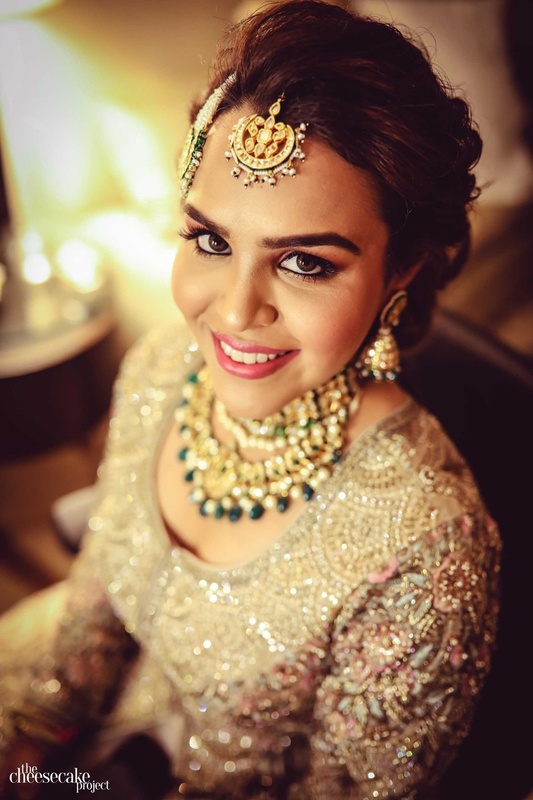 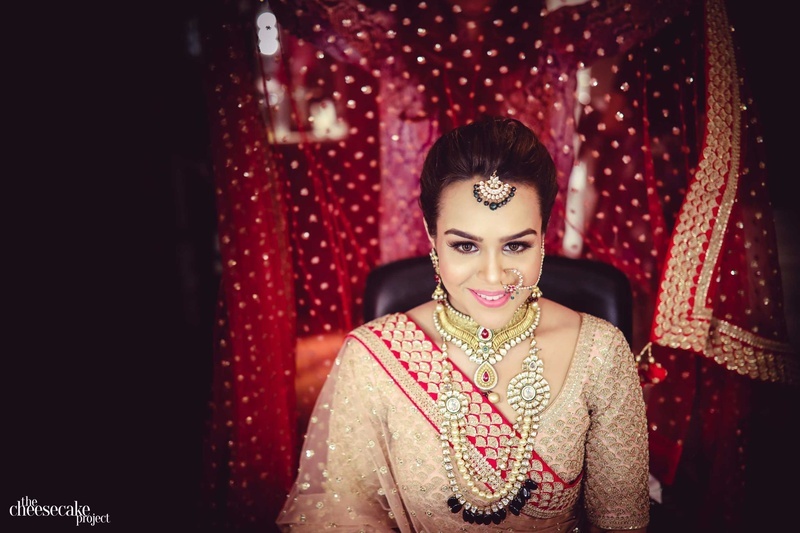 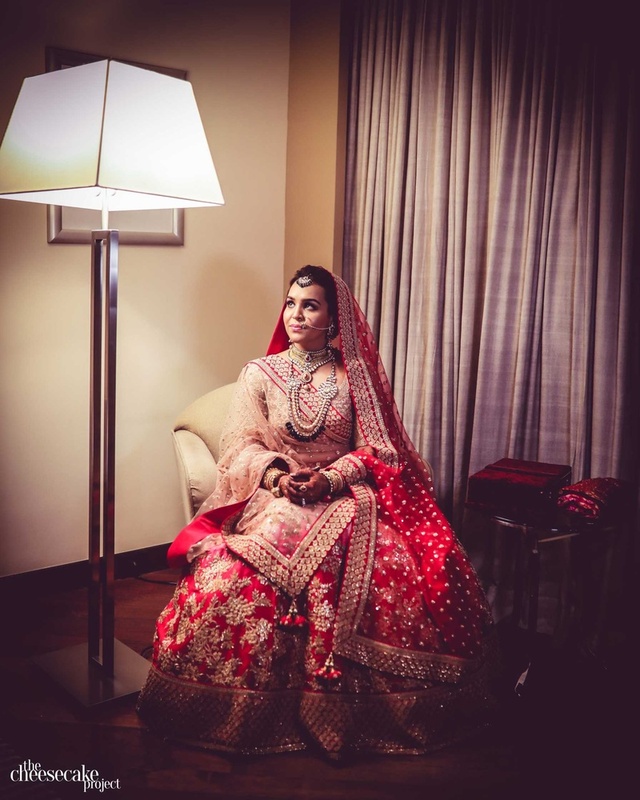 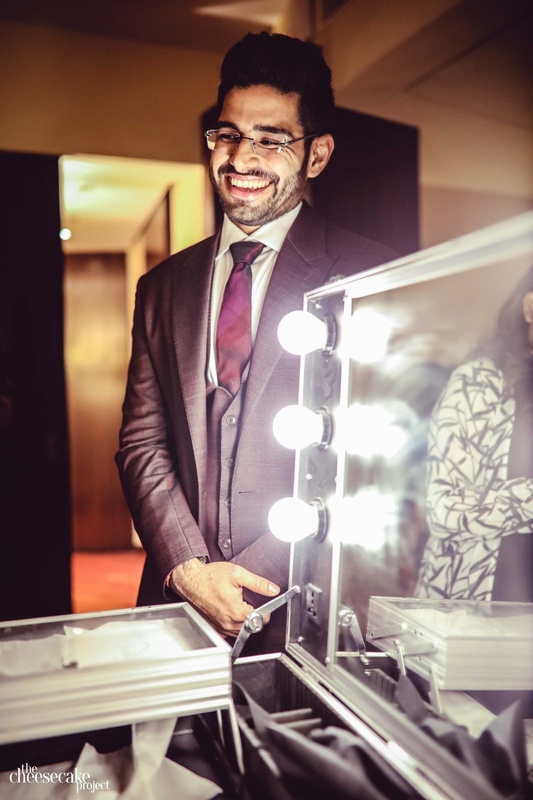 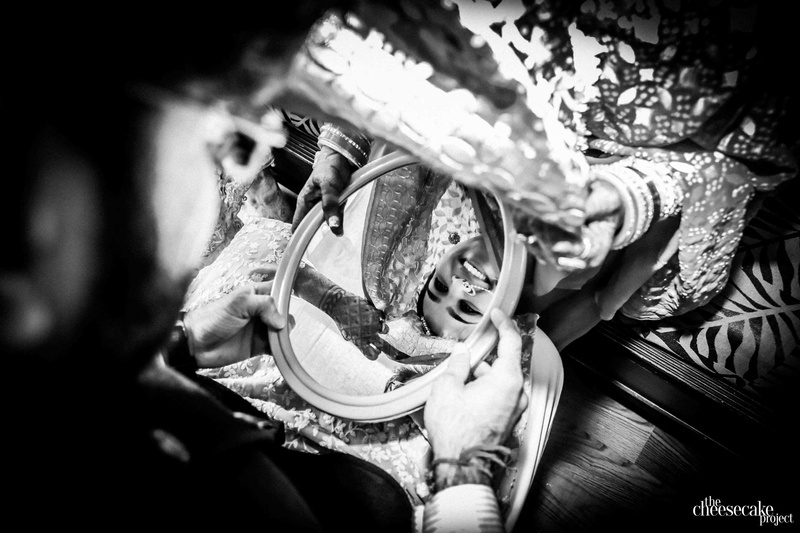 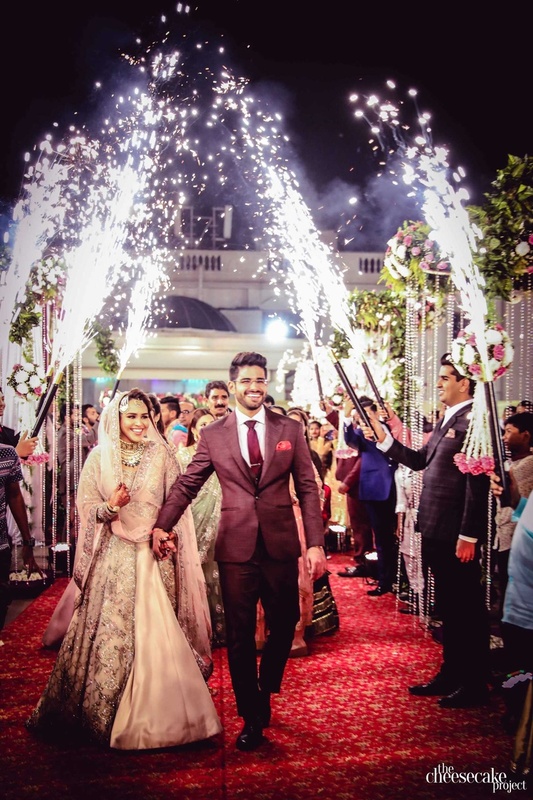 Kainaat and Aftab just got hitched in a gorgeous Mumbai wedding hosted at Hyatt Regency. 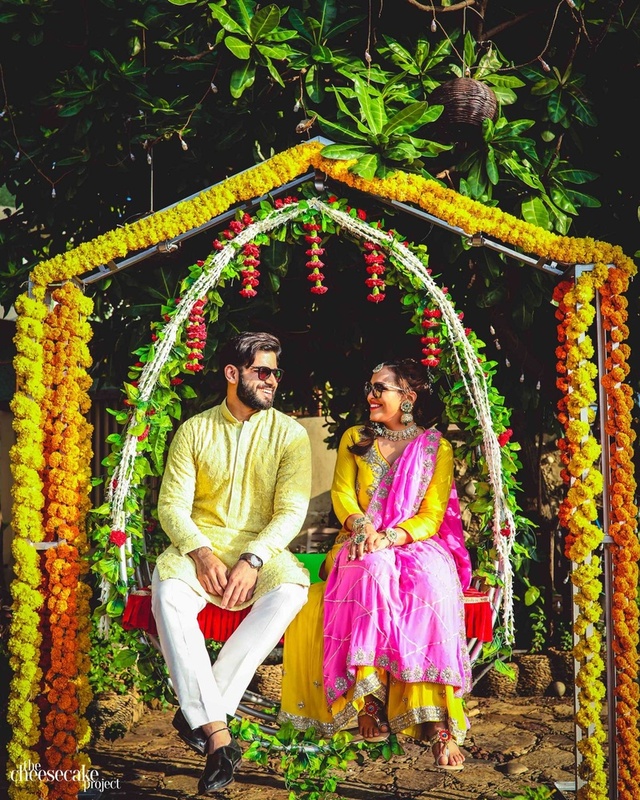 Surrounded by friends and family and laughter and color, this couple tied the knot in a ceremony that left us with tons of wedding goals! 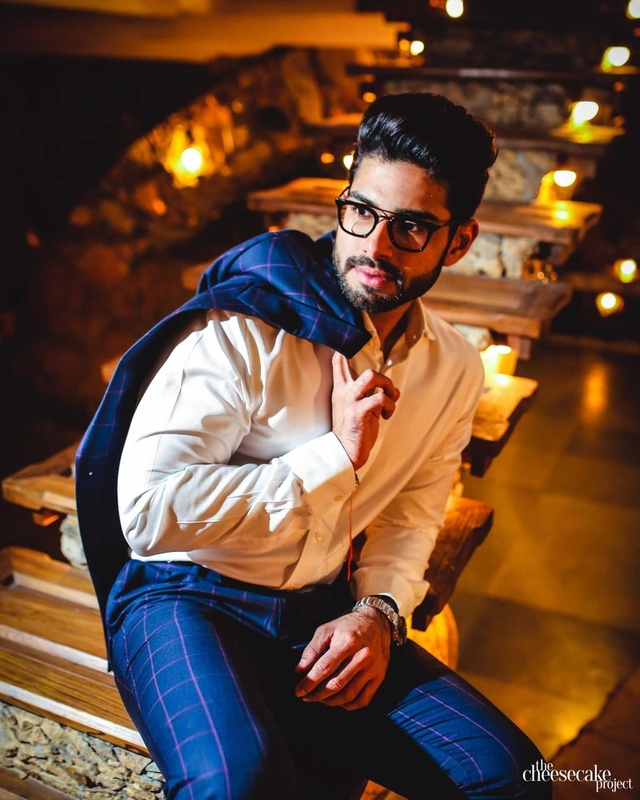 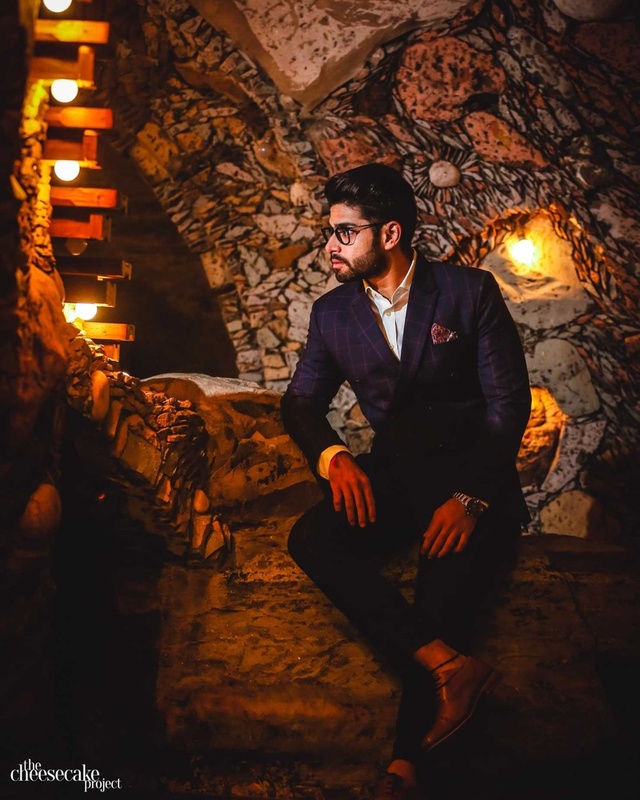 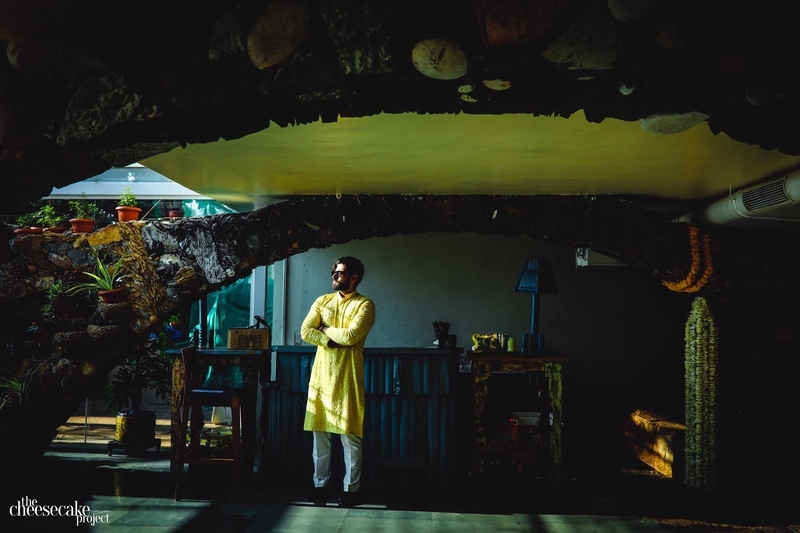 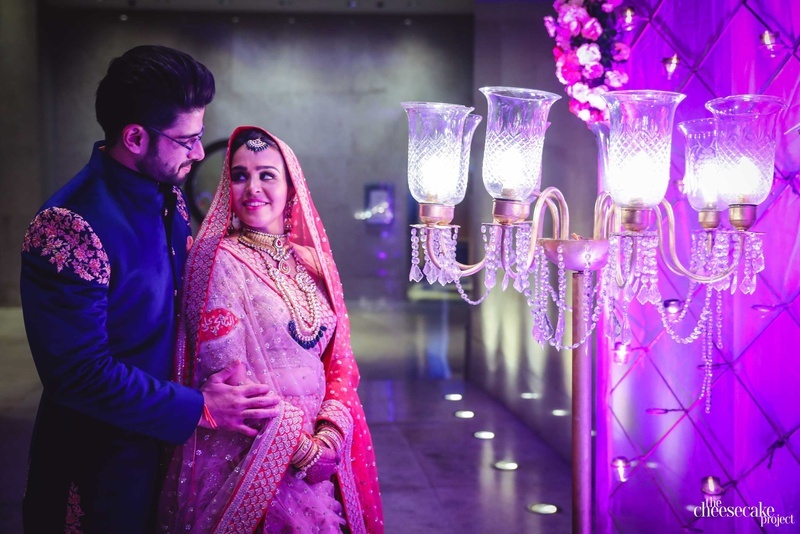 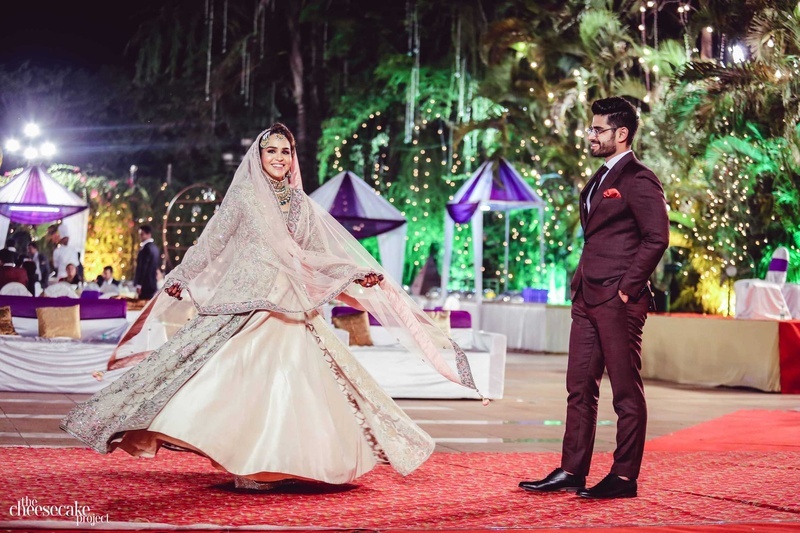 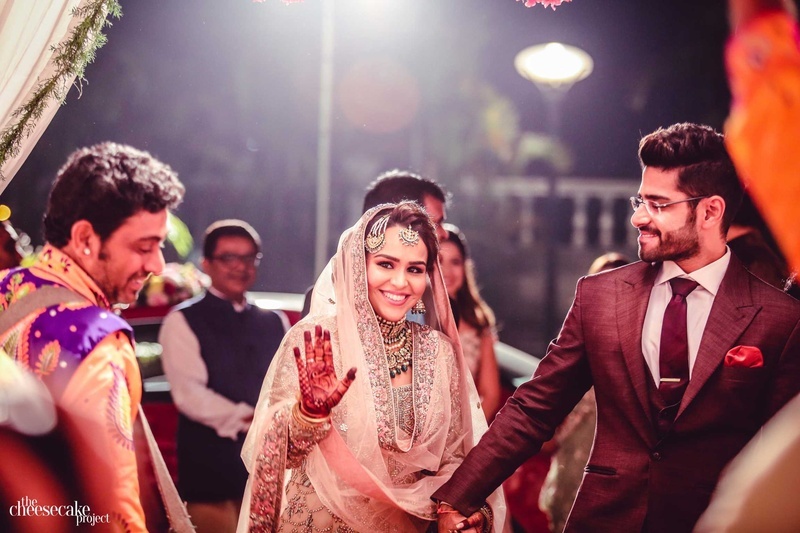 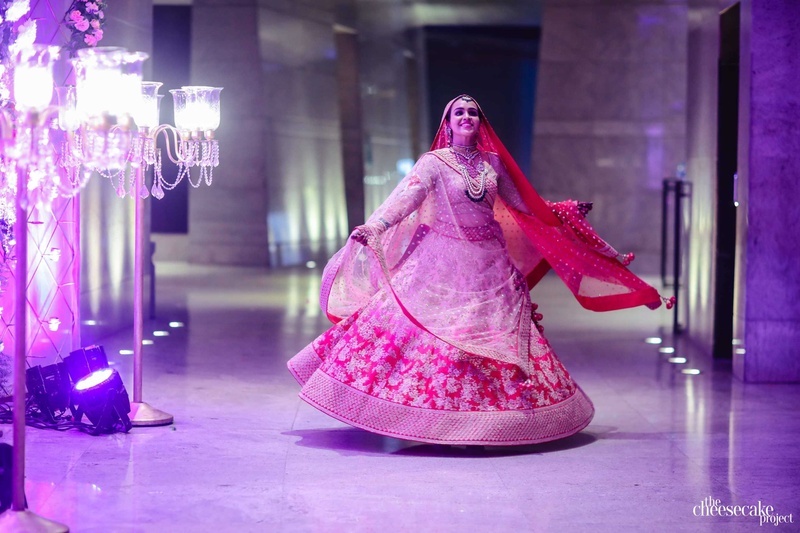 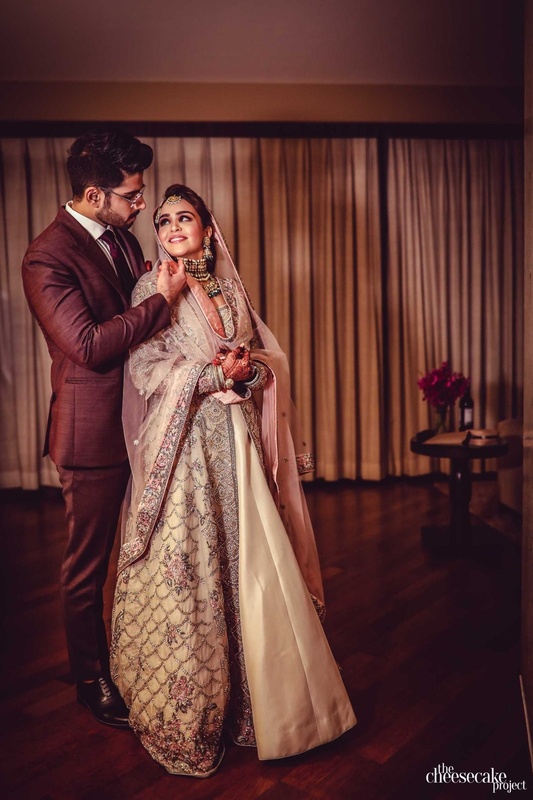 Indoor weddings are difficult to make aesthetically beautiful, but this couple's effortless ceremony at Hyatt Regency, Mumbai completely pulled it off! 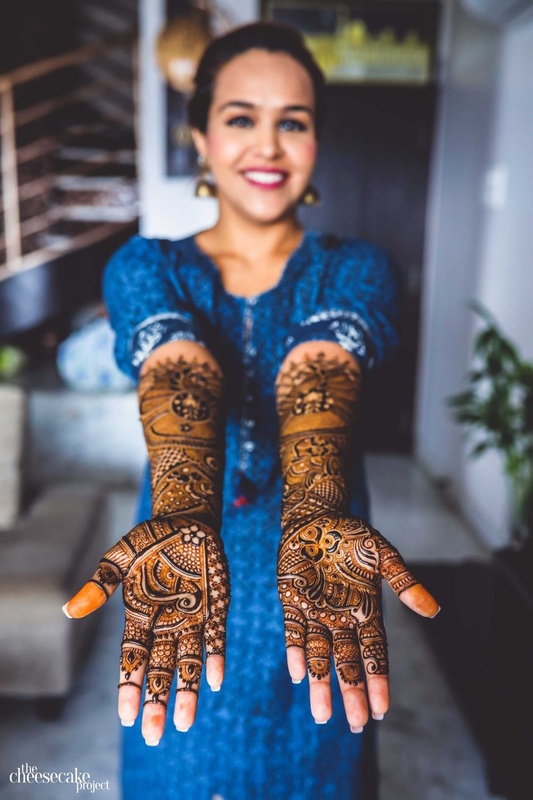 Falling in love and deciding to get htiched is a daunting task for anyone, especially in India. 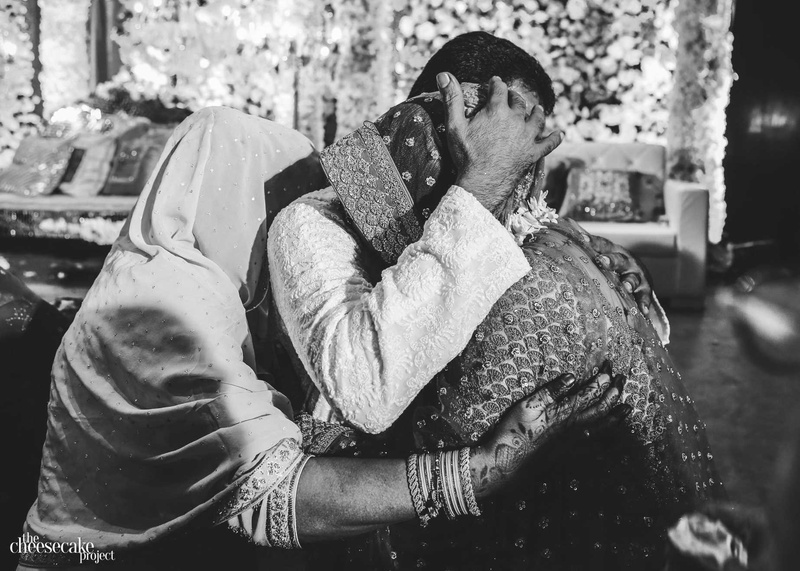 However, Kainaat and Aftab were sure of the bond they had, and making their families understand was a journey that will always cherish. 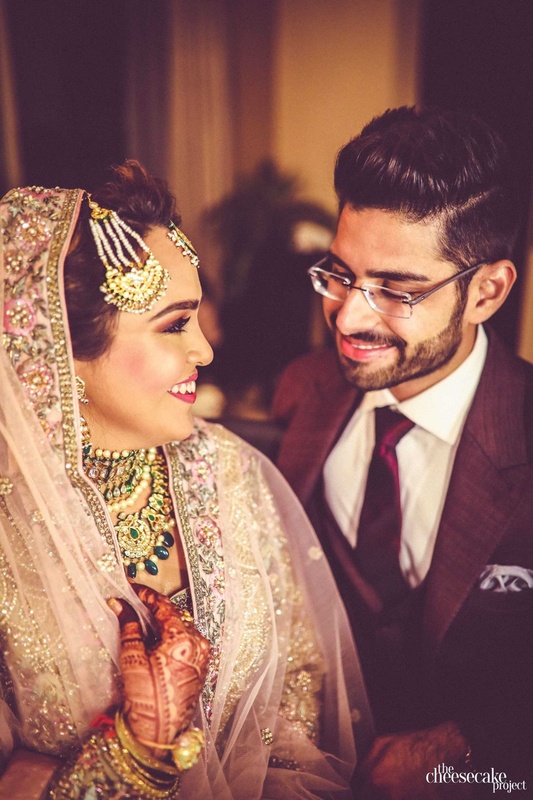 Kainaat loved Aftab's supportive nature and his sense of humour, while Aftab fell in love with her beauty, inside and out. 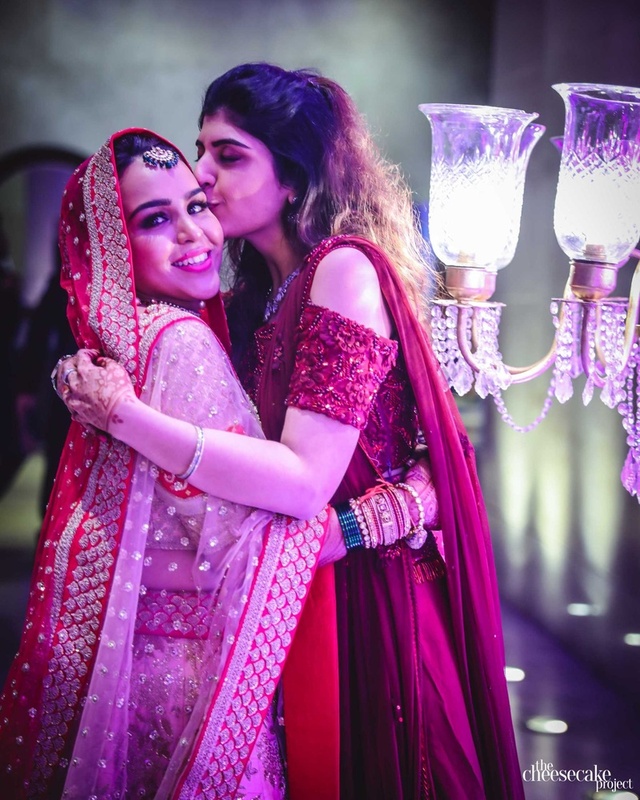 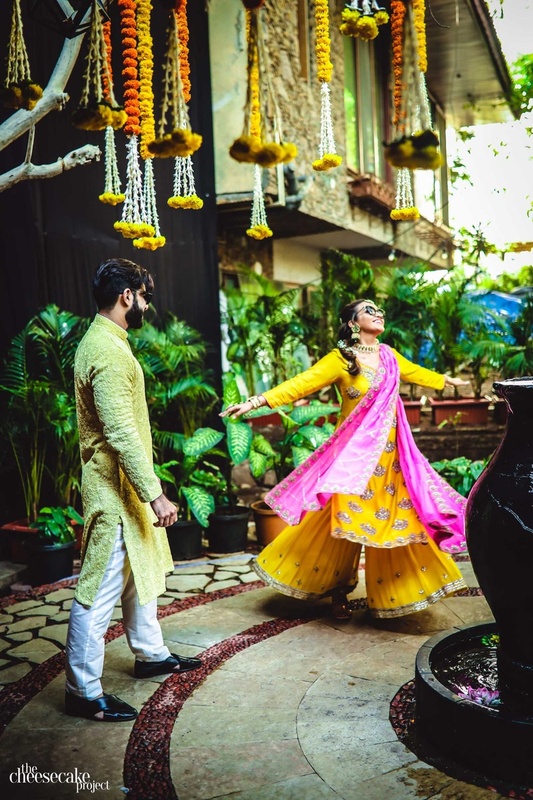 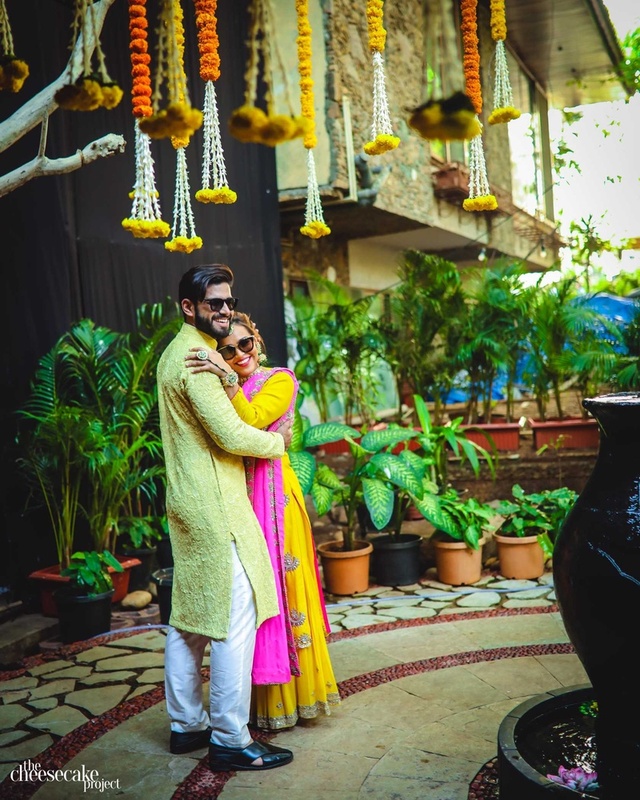 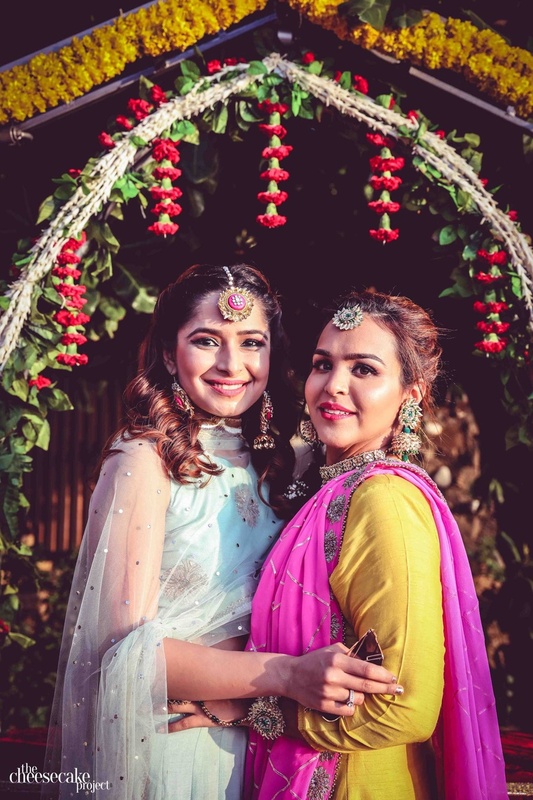 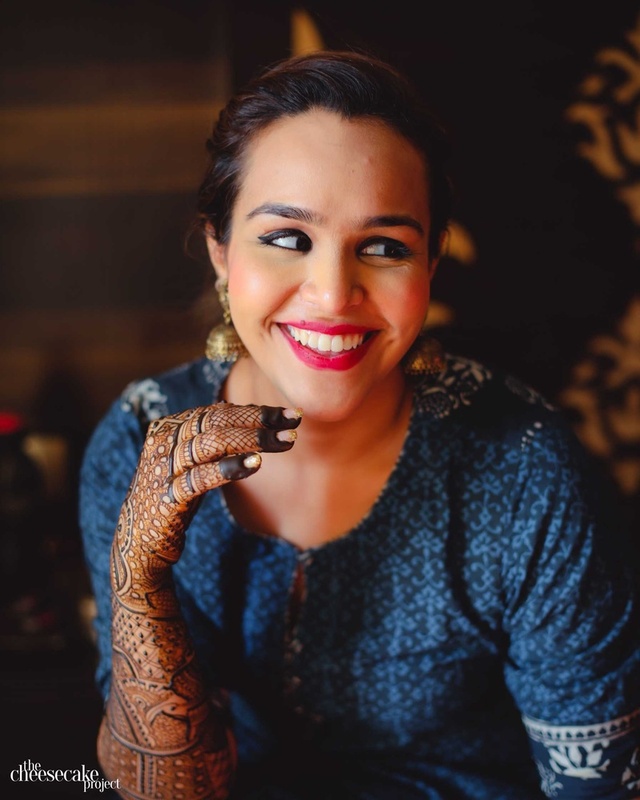 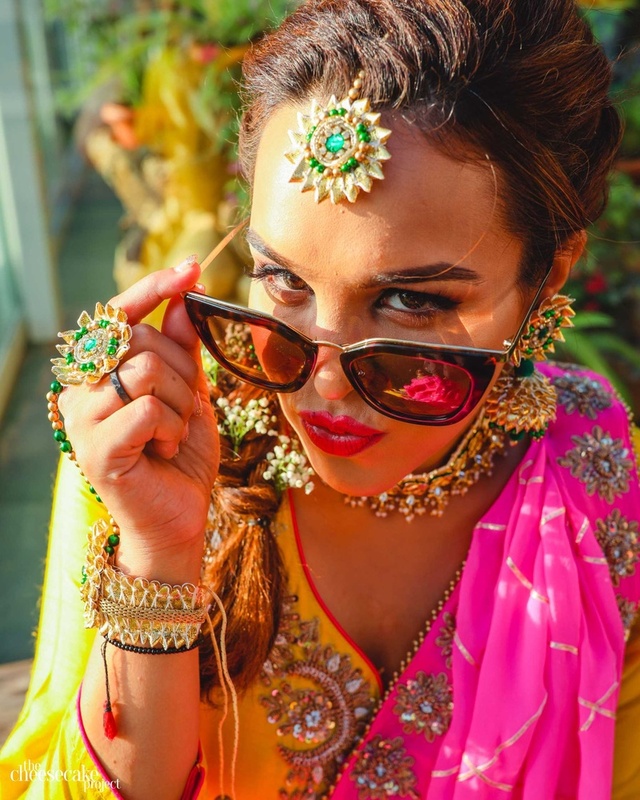 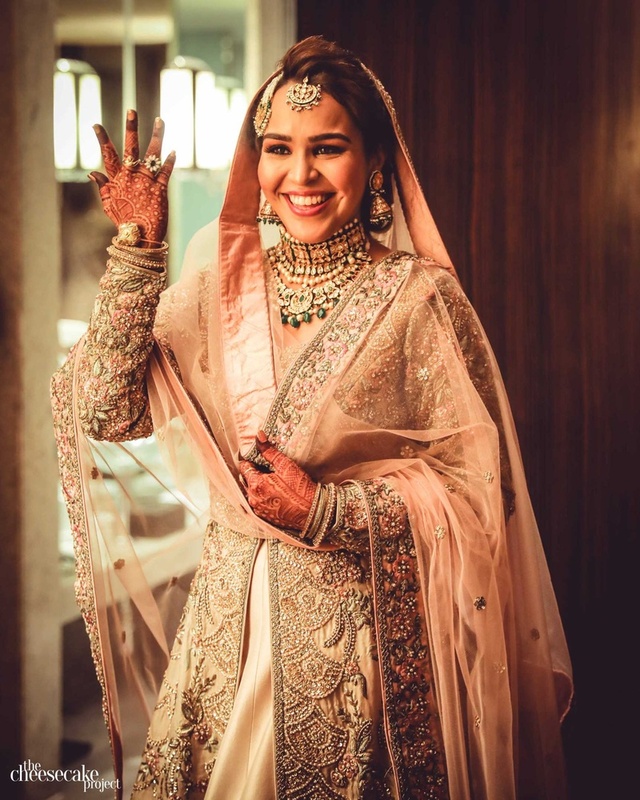 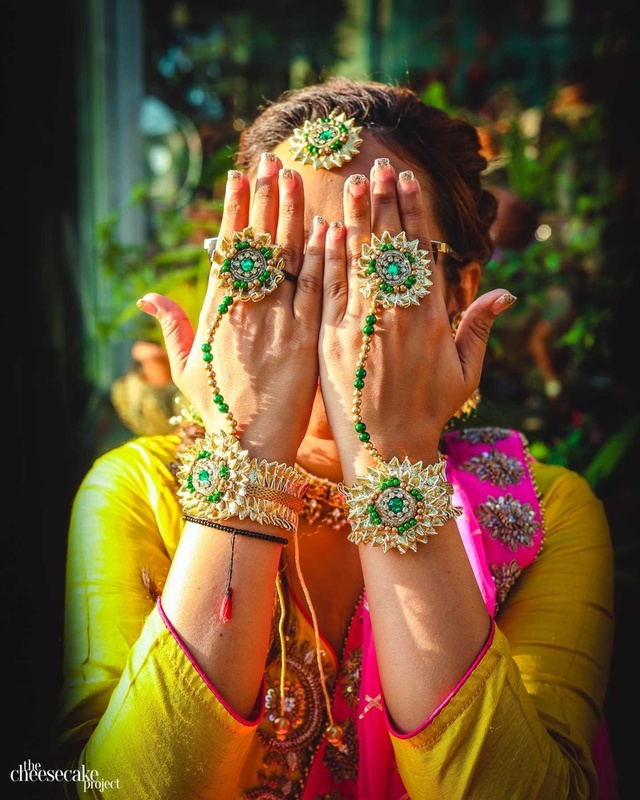 That's how we all landed up here, celebrating and cherishing their beautiful wedding, right down from quirky haldi photoshoot poses to the intricate mehendi designs that adorned Kainaat's hands. 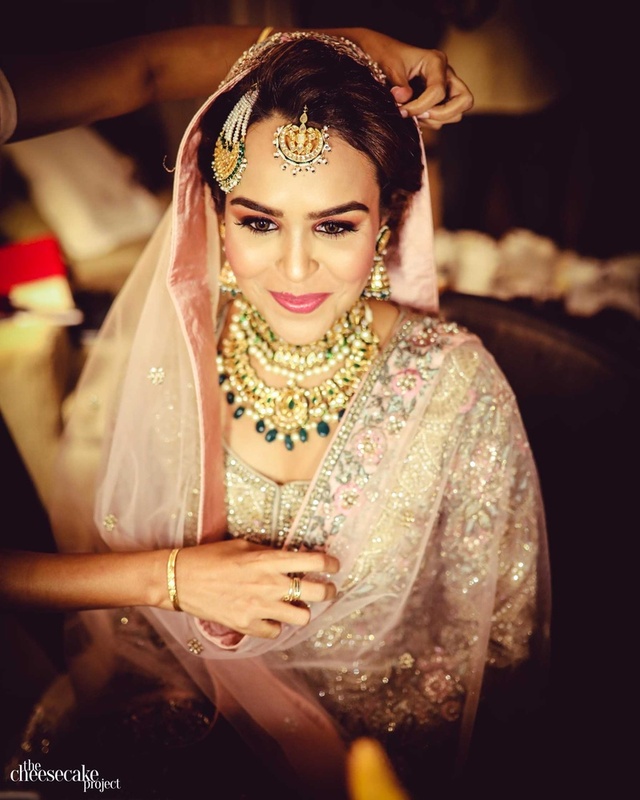 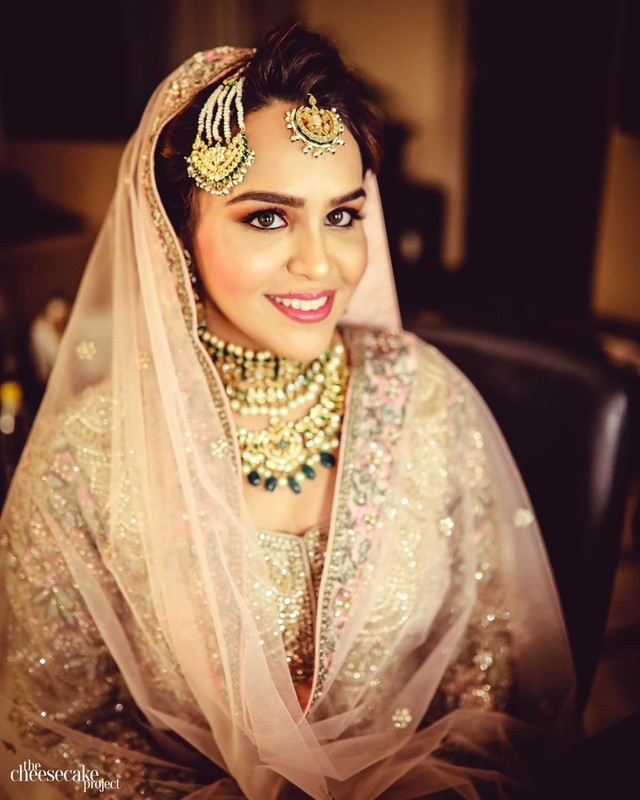 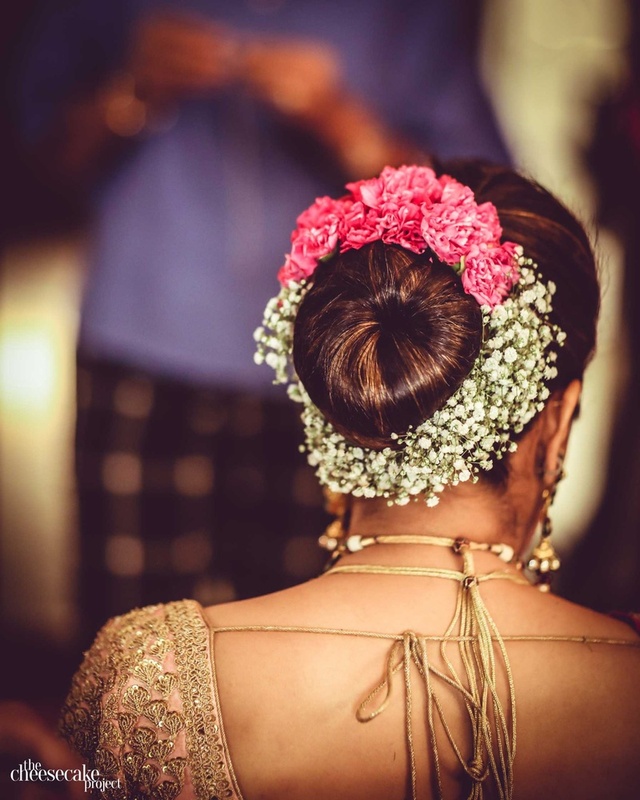 Even her bridal floral jewellery has left us in a wedding fever! 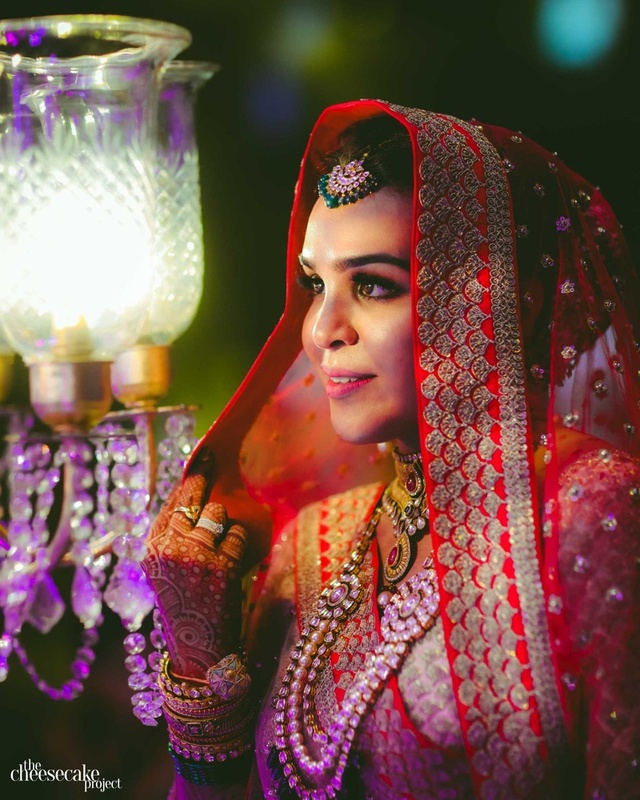 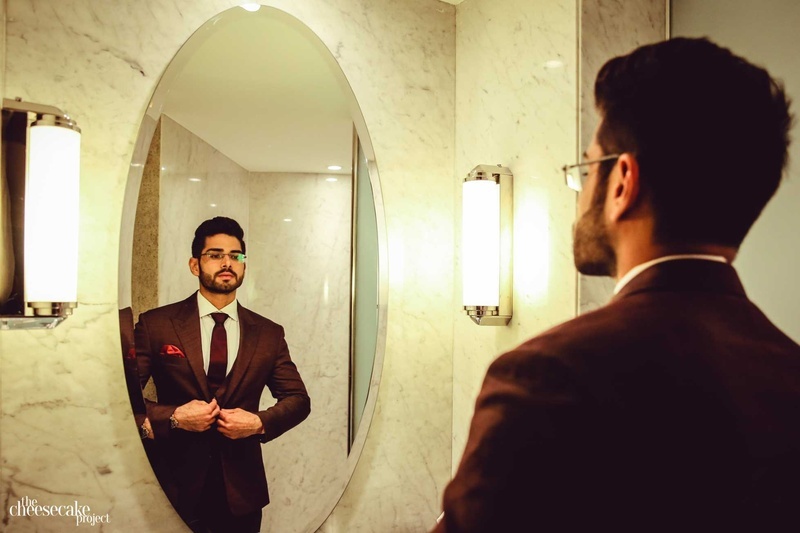 Photographed and captured exquisitely by The Cheesecake Project, check out this wonderful Hyatt Regency, Mumbai wedding! 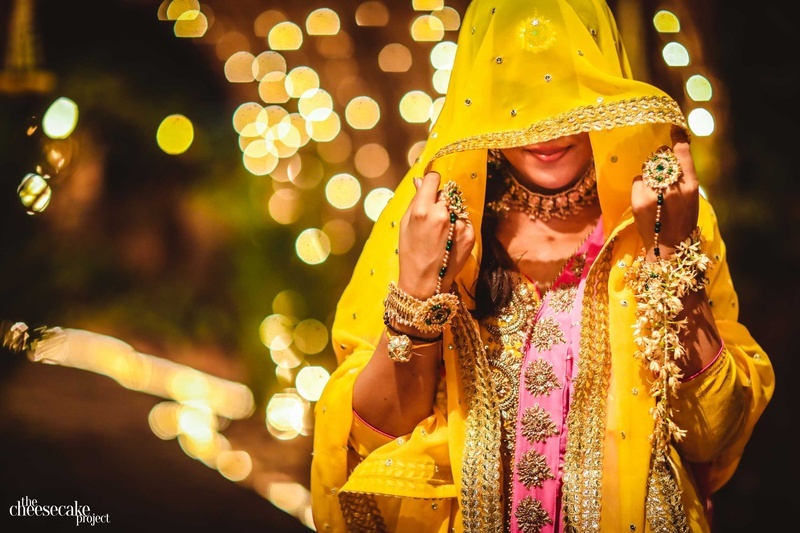 Beautiful bride Kainaat ready for her Haldi ceremony! 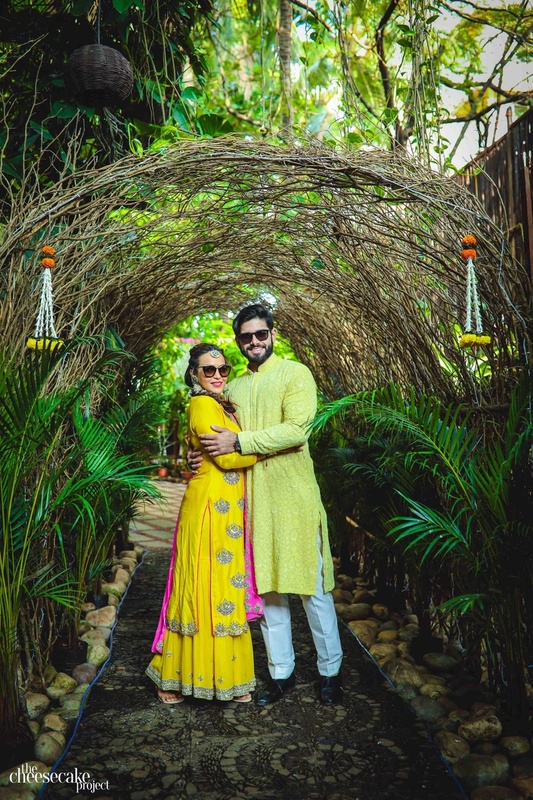 The bride and groom pose for The Cheesecake Project before their haldi ceremony! 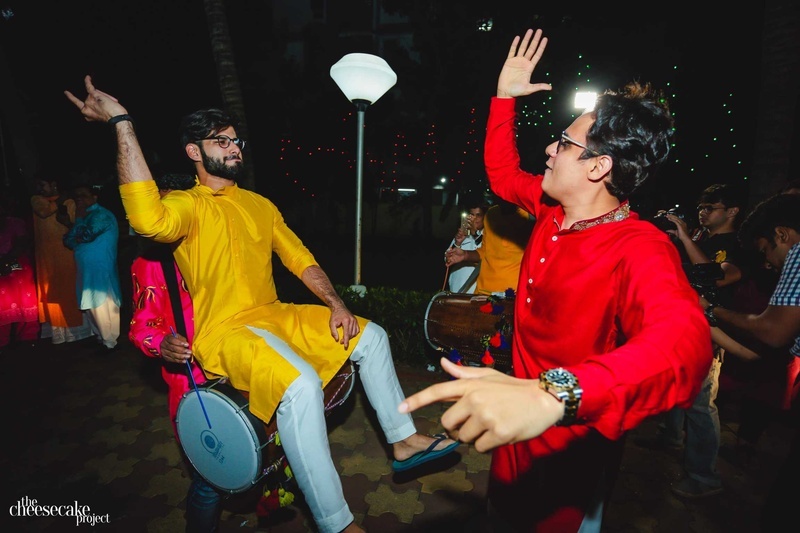 Who needs seats when you've got a dholak? 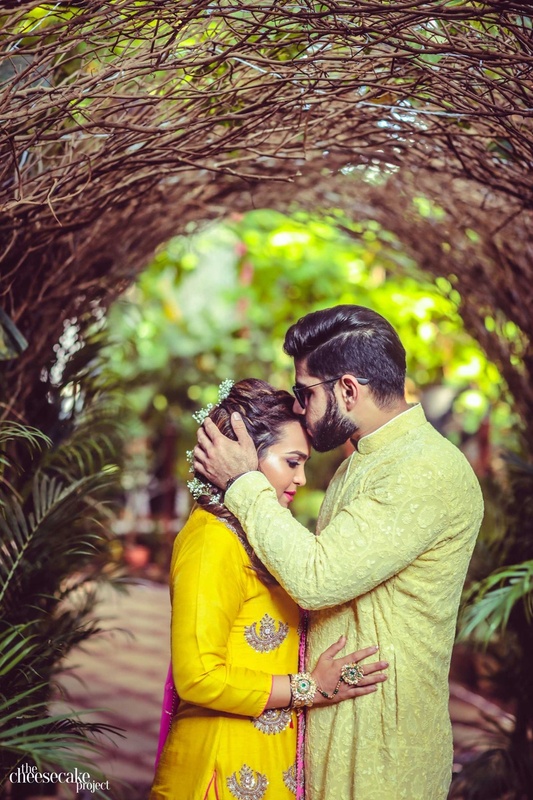 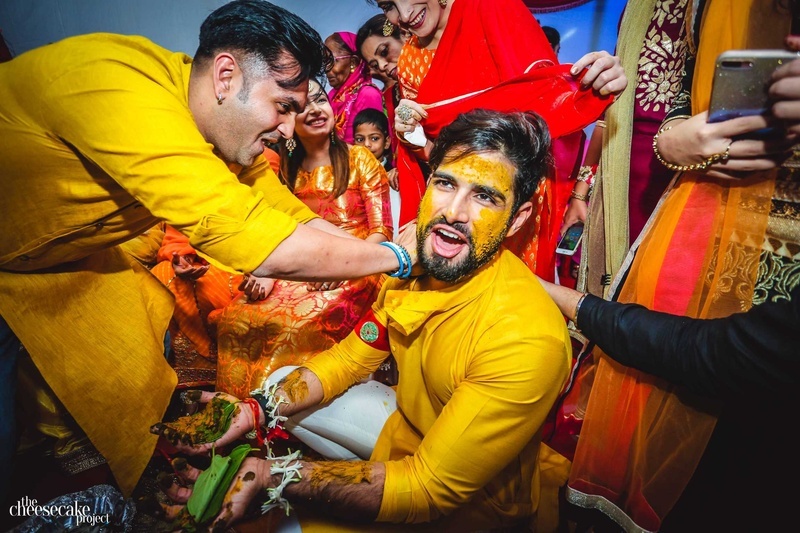 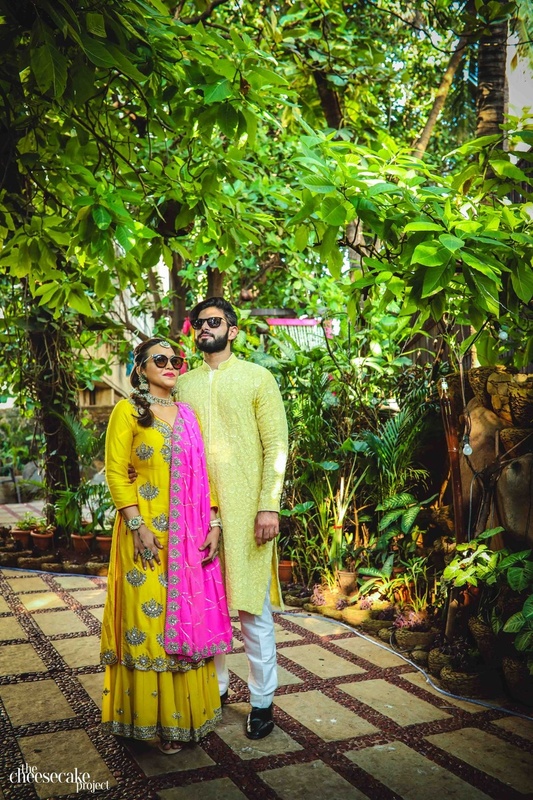 Candid shot of the bride and groom, both dressed in yellow for their haldi! 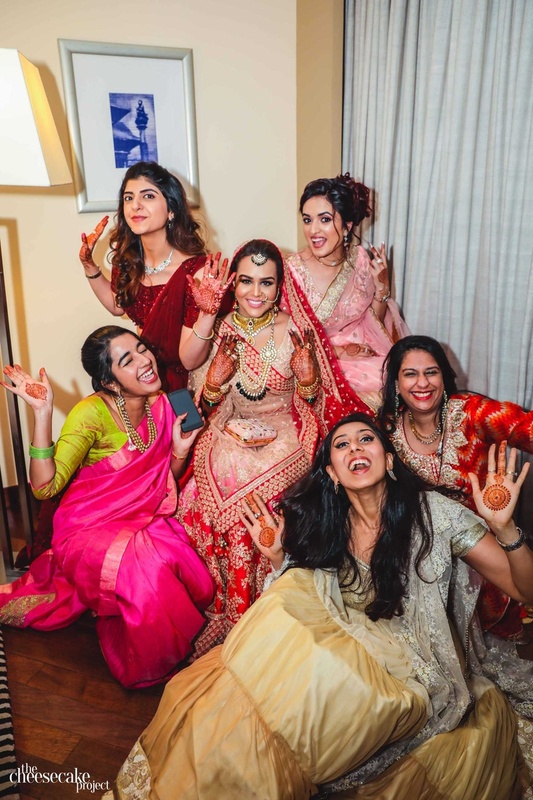 A bride's besties are the most important people in a shoot! 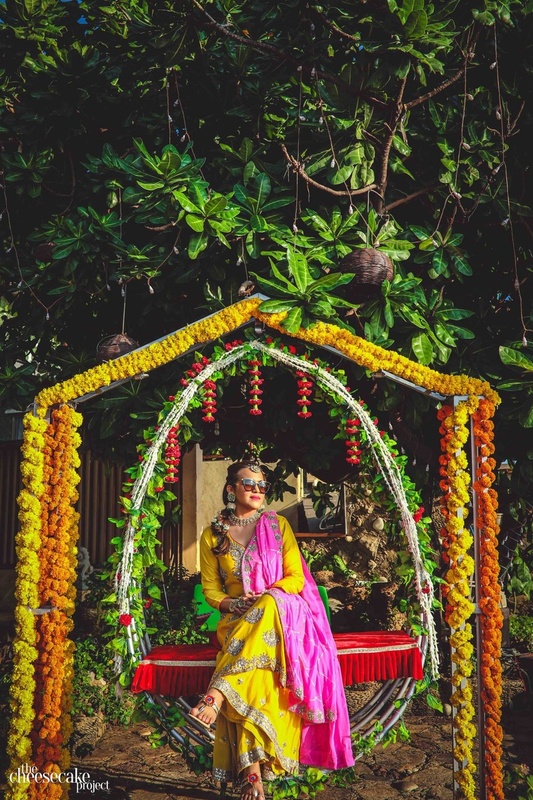 The cool bride pouting and posing at her haldi ceremony! 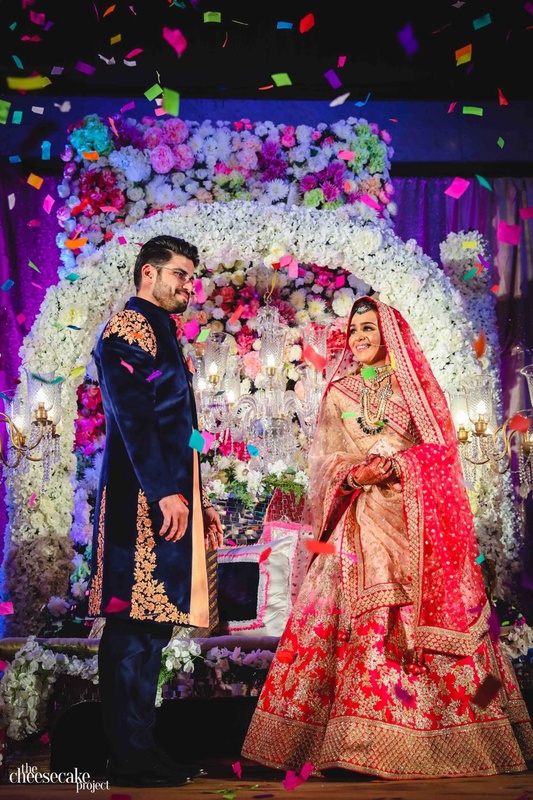 Beautiful genda phool decor, beautiful bride!